Transcranial magnetic stimulation (TMS) involves the use of a very short pulsed magnetic field to stimulate nerve cells in the brain. 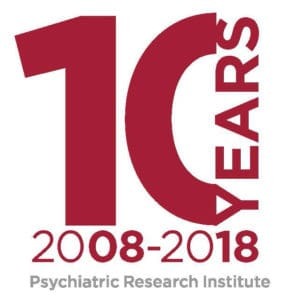 The Psychiatric Research Institute has joined the ranks of prestigious health centers around the country now offering TMS therapy for patients with major depressive disorder. Similar to a magnetic resonance imaging (MRI) scanner, TMS therapy stimulates areas of the brain that are underactive in depression. Performed on an outpatient basis, TMS is performed while the patient sits comfortably in a relaxing chair. Sessions take a little more than 30 minutes and are administered five days a week for up to four to six weeks. With TMS, there are none of the side effects commonly associated with antidepressant medication and patients remain awake and alert throughout the treatment. TMS is approved by the U.S. Food and Drug Administration for the treatment of depression, and has shown to be effective in helping those patients who have failed to benefit from medications. No sedation is necessary during the therapy and there is minimal discomfort throughout the treatment. A vagus nerve stimulator or implants controlled by physiologic signals, such as a pacemaker or an implantable cardioverter defibrillator. For more information about TMS therapy or to schedule a consult visit with a psychiatrist in PRI’s Walker Family Clinic, call (501) 526-8603.